Features Built-In Inside Antenna. 50 Ohm, 7.5 ft of RG-174 cable with SMA Male Connector. Adjustable to fit any cell phone, for hands-free device to increase driver safety. weBoost Cell Phone Cradle Plus (SMA Connector) is a lightweight, versatile product that enables you to place your cell phone in a convenient location in your vehicle and use it with a hands-free device such as an ear bud or Bluetooth product. Doing so lets you keep both hands on the wheel, thereby maintaining your safety while allowing you to carry on a cell phone conversation. weBoost Cell Phone Cradle Plus has the added benefit of a built-in cell phone signal antenna/coupler. Used in conjunction with one of Wilson's cellular amplifiers, the Cradle Plus can improve your cellular signal up to 10 times and help you stay connected in places you never could before! 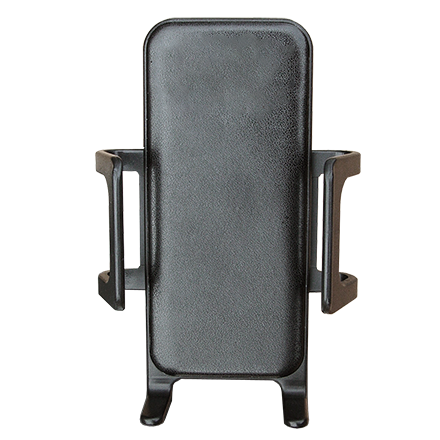 With adjustable arms and feet, the weBoost Cell Phone Cradle Plus holds virtually any cell phone on the market and does not obstruct access to phone controls or connections. The push button release function enables you to quickly and easily remove the phone from the cradle when you leave the vehicle. The cradle comes with mounting brackets for installation on the console or dashboard. Here's how the amplifier/Cradle Plus system works: A wps antenna mounted on the outside of your vehicle communicates with the cell site, and the built-in cradle antenna/coupler communicates with your cell phone. The outside antenna collects weak cellular signals and sends them to the amplifier.The amplifier boosts those signals and sends them through the cradle antenna/coupler, significantly improving the performance of your cell phone or laptop data card. The Cradle Plus works with the 470510 - weBoost Drive 4G-X and other amplifiers that have an SMA/Female connector. 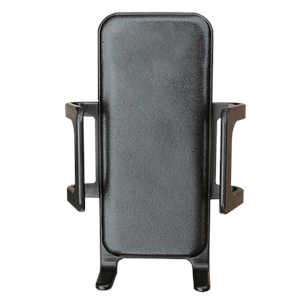 Adjustable Desk Mount Designed for Cradle Style Cell Phone Signal Boosters. For use with Drive 3G-S, Drive 4G-S, Drive 3G Flex & Cradle Plus.